No tree this year doesn't mean we aren't decking the halls. 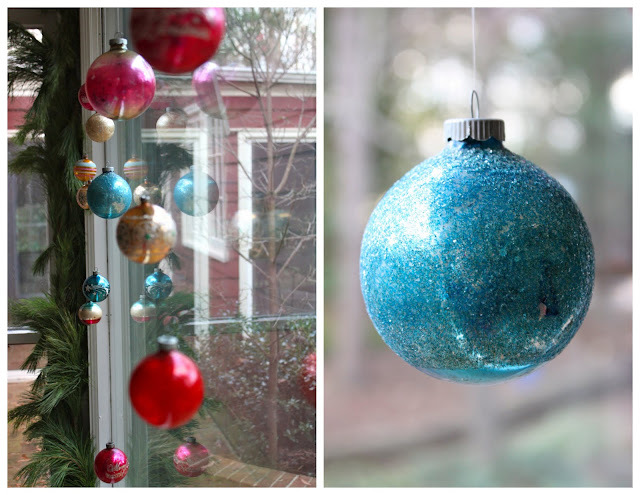 Vintage ornaments are still making the season bright!! so cute! love the ornaments! Me too! Feeling festive, that is.